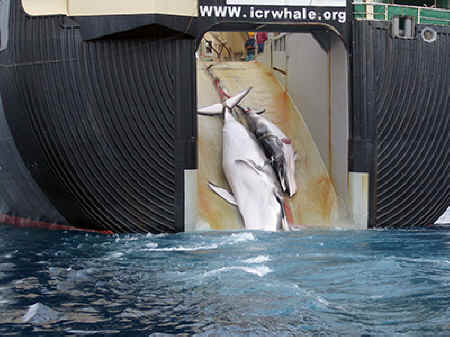 In response to the Ninth Circuit Court of Appeals opinion in a preliminary injunction hearing against Sea Shepherd Conservation Society U.S. as brought by Japan’s Institute for Cetacean Research (ICR) — a government-subsidized front for commercial whaling — the global marine conservation nonprofit calls the ruling a “bad decision,” but says the gavel hasn’t come down quite yet. A ruling from a pending trial and other legal actions are yet to come. Meanwhile, the group says Japan’s whale-poaching pirates of greed are literally getting away with murder — the murder of whales.